Our keynote speaker, Veronika Scott, is the Founder & CEO of The Empowerment Plan. If you have not heard her message about her journey from top product designer to influential non-profit luminary, you are in for a moving and empowering experience. Michigan Women in Finance looks forward to sharing our inspiring and dynamic speaker line-up with you at this year’s conference. Be sure to join us – come to this year’s conference in Birmingham and Troy! Building an organization around a single idea: to design a coat specifically for the homeless, Veronika Scott has transformed countless lives through her empowering social entrepreneurship. Self-heated and waterproof, Veronika’s trademark coat doubles as a sleeping bag at night. By hiring the homeless to produce coats for people living on the streets, Veronika Scott’s Empowerment Plan helps struggling women gain back independence for themselves and their families. Veronika is the youngest recipient of the John F. Kennedy New Frontier Award from the JFK Library Foundation and Harvard University. She has received an IDEA Gold Award from the Industrial Design Society of America and has an honorary PhD of Humane Letters from Johnson State College. Veronika has been named one of CNN’s Ten Visionary Women in the World and is the winner of the 2014 DVF People’s Voice Award. 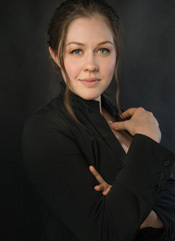 She has also been named a 2015 Forbes 30 Under 30 Social Entrepreneur. Since 2012, the Empowerment Plan has provided employment to over 40 homeless individuals — all of whom have now secured permanent housing for themselves and their families — and distributed over 25,000 coats to those in need across the U.S. and Canada. The Empowerment Plan story has been told across the world and shared at events such as the World Summit on Innovation and Entrepreneurship and the Forbes 400 Philanthropy Summit with Oprah, Melinda Gates, and Warren Buffett. 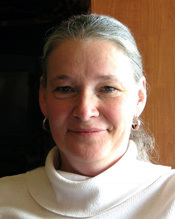 Susan Mosey, Executive Director, Midtown Detroit, Inc.
Susan T. Mosey has been the Executive Director of Midtown Detroit, Inc. (MDI) in Detroit, Michigan for twenty-nine years. This non-profit organization is responsible for community development, marketing, real estate, small business development and arts programming within Detroit’s University Cultural Center and New Center districts – an area now known as Midtown. MDI also manages public space maintenance and security initiatives for the district. Projects that have been undertaken by the organization under her direction include public improvements such as new streetscapes and park development, greenway planning and construction, and residential and commercial real estate development and management. MDI’s newest initiative is the Live Midtown Residential Incentive Program that encourages employees of the anchors to move to Midtown. The organization also produces a number of signature arts events, including Art X Detroit, DLECTRICITY and Noel Night. 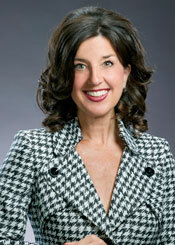 Michele commenced her tenure as president of the Belle Isle Conservancy in January of 2013. Formed in the fall of 2011 through a merger of four existing nonprofits – Friends of Belle Isle, Belle Isle Botanical Society, Belle Isle Women’s Committee and Friends of the Belle Isle Aquarium — the new Conservancy, in partnership with the City of Detroit, will bring more private and public resources to our beautiful island park. Its organizational mission is to protect, preserve, restore and enhance the natural environment, historic structures and unique character of Belle Isle as a public park for the enjoyment of all – now and forever. Prior to the Conservancy, Michele had been President of the Troy Chamber since 2001, a dynamic organization comprised by more than 700 of Troy’s top companies, and established in 1959. Its objectives were oriented toward economic development, entrepreneurship, globalization, and leadership. Most recently, Michele worked to advance the Troy Transit Center. Prior to joining the Chamber, Michele held a variety of economic development positions with the Detroit Regional Chamber. She has served as director of the DDA and as a business development team member for the City of Southfield, and as director of economic development for the City of Eastpointe. She holds a Bachelors Degree in Social Science (Urban Planning) from Michigan State University. 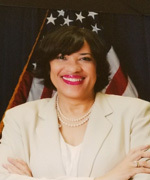 She is a graduate of the Michigan Political Leadership Program, and the Institute for Organization Management, in addition to earning multiple training certificates. She sits on numerous boards and committees, is a member of the 2007 Crain’s Detroit Business 40 under 40 class, was identified as a Leader/Innovator by the Great Lakes IT Report, one of Michigan’s Most Influential Women by Inforum and Deloitte, and Michigan Chamber Professional of the Year by the MACP. Jeannine Gant brings nearly 3 decades of non-profit experience in the metropolitan Detroit area to her role as Big Brothers Big Sisters of Metropolitan Detroit Chief Executive Officer. Most recently, she served as Executive Director of Playworks Michigan, a national non-profit organization that leverages recess to support the social and emotional learning for children in elementary schools. Prior she held leadership positions at Wayne State University’s School of Business, The Children’s Center, The Epilepsy Foundation and numerous other child and family serving organizations. Her for-profit experience, at J. Walter Thompson advertising, includes launching Ford Division’s $32 million national cause marketing campaign that promotes breast cancer awareness and research. Jeannine holds a Master’s degree in Public Relations and Organizational Communication from Wayne State University. 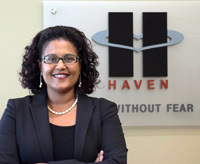 Amna Osman, President and CEO at HAVEN has 18 years of experience as a public health innovator and executive leader with extensive background in all aspects of leadership and management. Prior to her current role, Amna was founder and president at Osman Consulting, based in Grand Blanc, Michigan; she provided leadership development in the United States and overseas. Amna served as the Director of the Division of Health, Wellness, and Disease Control for Michigan Department of Community Health. Prior to working with the Michigan Department of Community Health, Amna worked for Wellness AIDS Services, Inc. as the Executive Director based in Flint, MI. Amna also worked for the United Nations Industrial Development Organization based in Vienna, Austria as a Senior International Consultant to promote and accelerate inclusive and sustainable industrial development (ISID) in developing countries and economies in transition to eradicate poverty focusing on Asian and African countries. Amna served as board chair of the National Alliance of State and Territorial AIDS Directors based in Washington DC. She currently serves on the Board of Directors of the Stewardship Network, a conservation organization based in Ann Arbor. 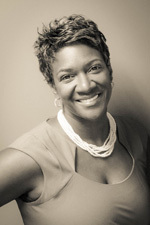 She is a board member of the Alumni Team for the Advanced Great Lakes Leadership Academy for Michigan State University. She was appointed by Governor Snyder to serve on the State Council for Interstate Adult Offender Supervision. Amna is a graduate of the Great Lakes Leadership Academy, Leadership Advancement Program from Michigan State University. She has a Bachelor of Arts Degree in Psychology from the United States International University in San Diego, CA. A diploma from South Carolina State University & the Center for Disease Control and Prevention. A diploma of Leading Change from Macomb’s Executive MBA, School of Business, Austin, TX. She has a Master of Public Administration from University of Michigan and is currently working on her PhD in Leading Change at Antioch University. Kara has over 25 years of management experience through various leadership positions with the Food Bank of Eastern Michigan and previously at Pontiac Headquarters, representing General Motors in legal arbitrations. During Kara’s time at the Food Bank, it has grown from distributing 6 million pounds of food a year to over 28 million pounds of food a year that includes 11 million pounds of fresh produce from Michigan farms. The Food Bank annually serves over 330,000 food insecure individuals in 22 counties of Michigan through a network of church pantries, soup kitchens, shelters and children’s programs. Kara started her Food Bank career as Director of Development, was promoted to Vice President in 2007 and became the Interim President this past January. Kara has helped develop community partnerships with the annual Holiday Campaign, worked on a $6 million Capital Campaign for the Hunger Solution Center and serves with the Flint community in response to the water crisis as the Chair for the Resource Recovery Workgroup working on nutritional projects to combat the effects of lead exposure found in children and families. She has lead several operational expansions in warehousing and logistics projects that have involved infrastructure, transportation, warehouse equipment and technology upgrades. Kara has earned a Bachelor Degree in Public Relations and Advertising from Central Michigan University and a Master Degree in Business Administration. She is also a member and past board member of the Downtown Flint Kiwanis Club, an Advisory Board Member for the PGA First Tee of Eastern Michigan and a Board Member of the IMA Recreational Association. Kara is married to her husband Scott and together they have two daughters. 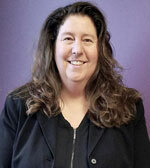 Christina (Tina) Kostiuk, CPA joined Bloomfield Hills Schools in 2011 as the Assistant Superintendent for Business Services. In this role, she provides direction and administration over the financial operations for the District. Tina oversees the District’s budgets and funds totaling over $100 million and is the Treasurer of the Bloomfield Hills Schools Foundation. 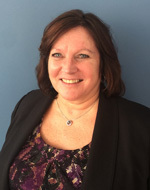 Tina has over 21 years of previous experience with Plante Moran, where she specialized in serving school districts. Her transition to CFO of a public school district allows her to combine her passion for the importance of educating children with her financial knowledge and experience. She served as a panelist for the recently released School Finance Research Collaborative report, a comprehensive statewide school funding study, creating a roadmap to help all Michigan students succeed. Tina has a bachelor’s degree from Wayne State University and is a registered Certified Public Accountant. In 2014, Tina was awarded the Oakland County School Business Officials Business Administrator of the Year and served as President of the organization during the 2015-2016 school year. Tina is a member of the Association of School Business Officials, Michigan School Business Officials, American Institute of CPAs, and the Michigan Association of CPAs. She has been involved in the community as a former director of the Shelby Community Foundation and is an alumni of Leadership Macomb IV. 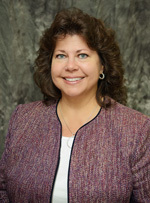 Natalie Neph serves as the Investment Administrator for Oakland County, Michigan, a position she has held for 16 years. In that role, Natalie manages Oakland County’s short term operating portfolio, presently valued at more than $1.4 billion. Natalie has been an employee of Oakland County for 26-years, spanning three County Treasurer administrations, and is an important part of the team that has maintained Oakland County’s AAA bond rating for 19 years running. Natalie holds a master’s degree in Public Administration and a bachelor’s degree in Science from Central Michigan University. She has also been named an Advanced Certified Public Funds Investment Manager by the Association of Public Treasurers of the United States and Canada. 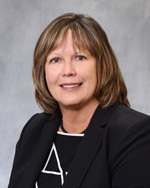 She is an active member of the Michigan Government Finance Officers’ Association (MGFOA), serving on the Accounting Standards and Legislative Committees, as well as the Association of Public Treasurers (APT) and the Oakland County Treasurers’ Association (OCTA). Additionally, Natalie volunteers as Administrator for the U.S. Naval Sea Cadets Tomcat Squadron, an organization which helps young men and women develop into productive, well-rounded citizens. Natalie and her husband John live in northern Oakland County and have 4 grown children and 9 grandchildren. Bobbie Remias joined Oakland Community College as the Interim Vice Chancellor for Administrative Services in July, 2017. She is a certified public accountant with a strong background in education and finance. Her previous years were served at Macomb Community College as Finance Director, DeLaSalle High School as Chief Business Officer and as an auditor, specializing in school districts while at Plante & Moran. Her passion for education and the mission of community colleges has kept her rooted in this field for the majority of her career. Bobbie holds a master’s degree in professional accountancy from Walsh College and a bachelor’s degree in accounting from Michigan State University. Professionally, she is a member of the American Institute of Certified Public Accountants, Michigan Community College Business Officials Association and serves as the treasurer for the non-profit organization, WAGR Warriors. She resides in Shelby Township with her husband and they frequently host family gatherings to include their children and grandchildren. Dr. Karen W. Weaver was born in Flint, Michigan, a city she loves! Before being elected as Mayor of the City of Flint in November 2015, Karen held several leadership positions in the Flint Community, including the Director of Behavioral Services at Mott Children’s Health Center and Chief Operating Officer of Ennis Center for Children. She is also an entrepreneur and owns the “Shea LaVelle Boutique,” a specialty store for natural skin, hair and body care products. Karen currently serves on numerous leadership boards and committees, including: President of the Downtown Development Authority, member of the Governor-appointed Flint Water Inter-Agency Coordinating Committee (FWICC), member of the State of Michigan Economic Development Corporation, member of the Flint Branch NAACP, member of the African-American Mayors Association, member of the United States Conference of Mayors, member of the Alpha Kappa Alpha Sorority, Inc. and a life-long member of Vernon Chapel AME Church. Karen attended the University of Michigan-Flint but later transferred to Tougaloo College, a historically Black College located in Tougaloo, Mississippi, where she graduated with a bachelor’s degree in Psychology. Karen received her master’s degree from Long Island University in Brooklyn, NY and a Ph.D. in Clinical Psychology from Michigan State University. Karen has received numerous awards and honors including but not limited to: The Spirit of Excellence Leadership Award from E3 Magazine, the Alpha Kappa Alpha Sorority, Inc. Vanguard Award for Outstanding Service, the Eleanor Roosevelt Award from the Feminist Majority Foundation, the Phenomenal Woman of Courage Award from the National Dental Association. Karen has been married to her childhood friend, Dr. Wrex Weaver, III for 30 years and they are the proud parents of three adult children, Adrienne Marie, Alanna Nicole, and Douglas Quentin. • SUSAN MOSEY, Executive Director, Midtown Detroit, Inc.
200 W Big Beaver Rd. 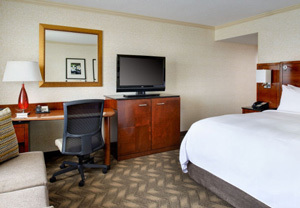 To make a reservation by telephone*, you may call The Detroit Marriott Troy at: (248) 680-9797. *Reservations must be made by April 26, 2018, in order to receive the group rate of $146.00 plus any applicable state and local taxes.